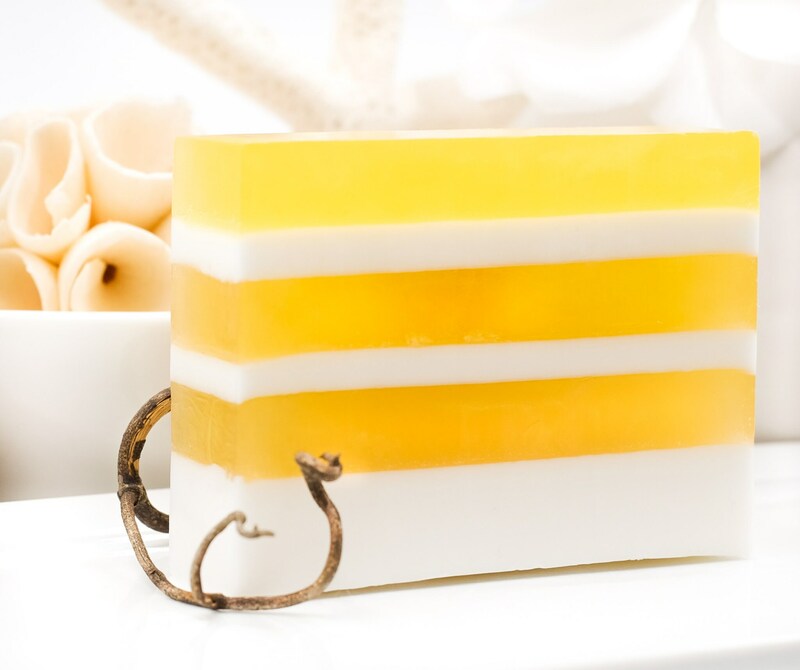 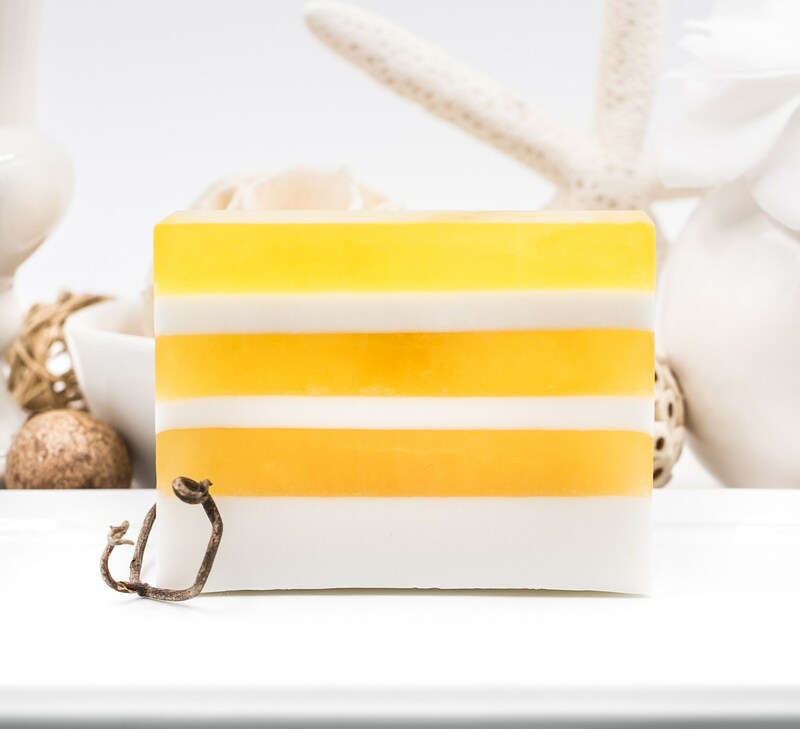 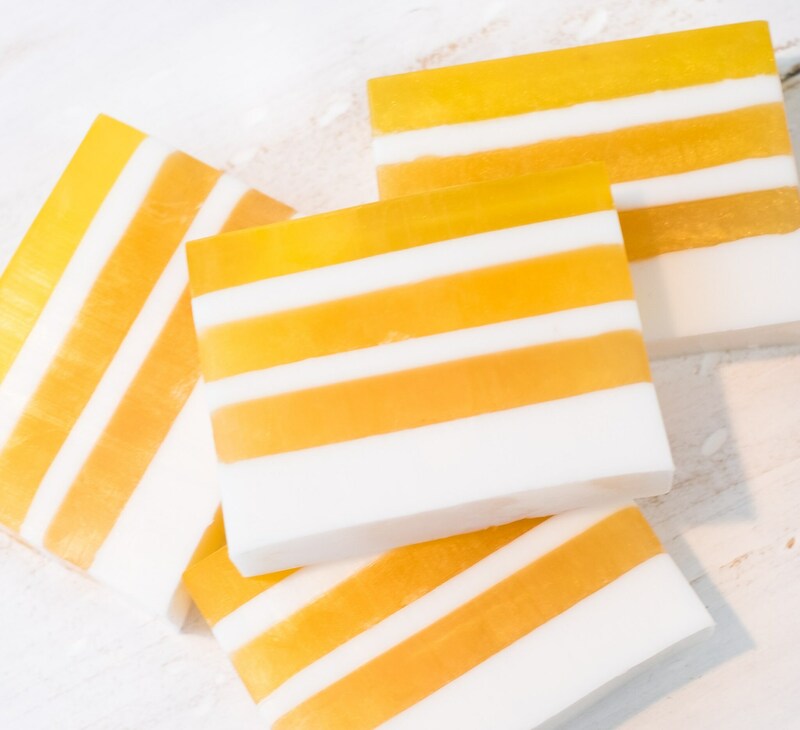 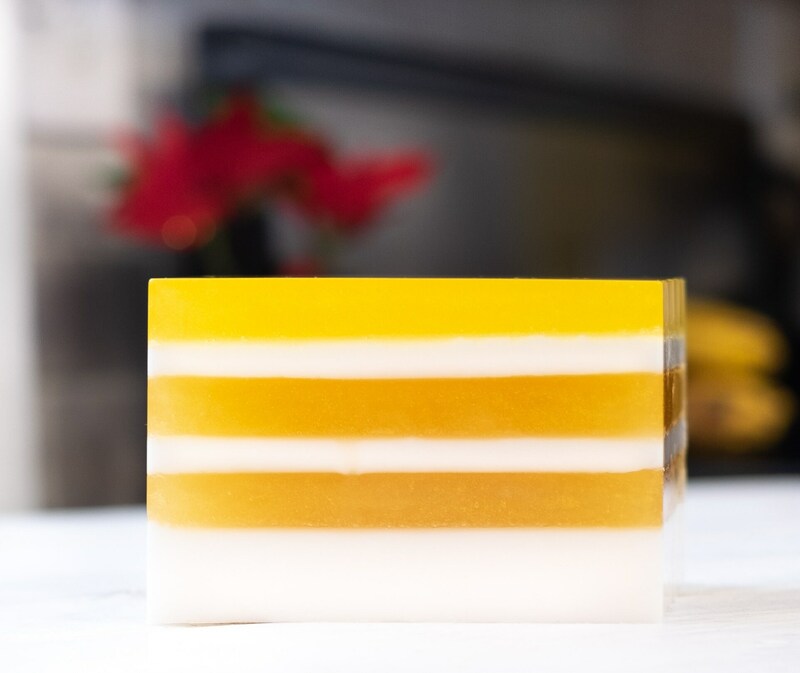 Our coconut layered soap bar smells delicious and wonderfully refreshing with a gentle hint of peppermint. 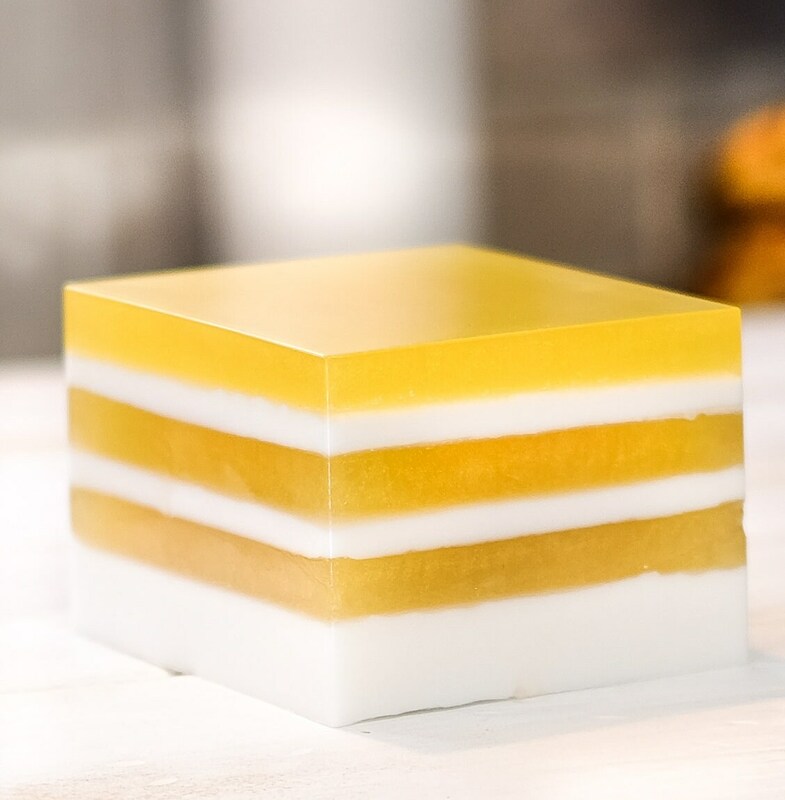 Gold mica minerals color the coconut layer to make this look good enough to eat. 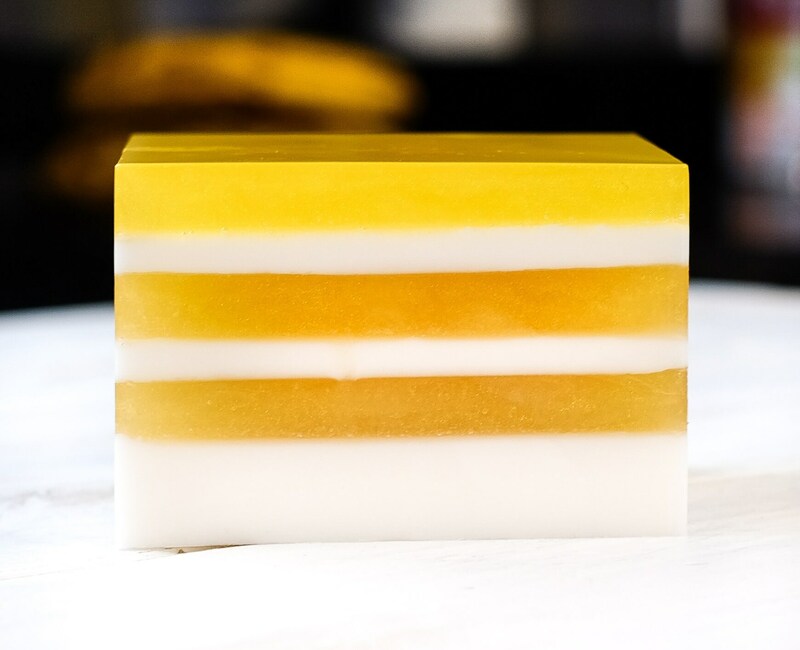 This artsy 5oz bar makes for a striking gift and conversation piece when placed in guest bathroom. 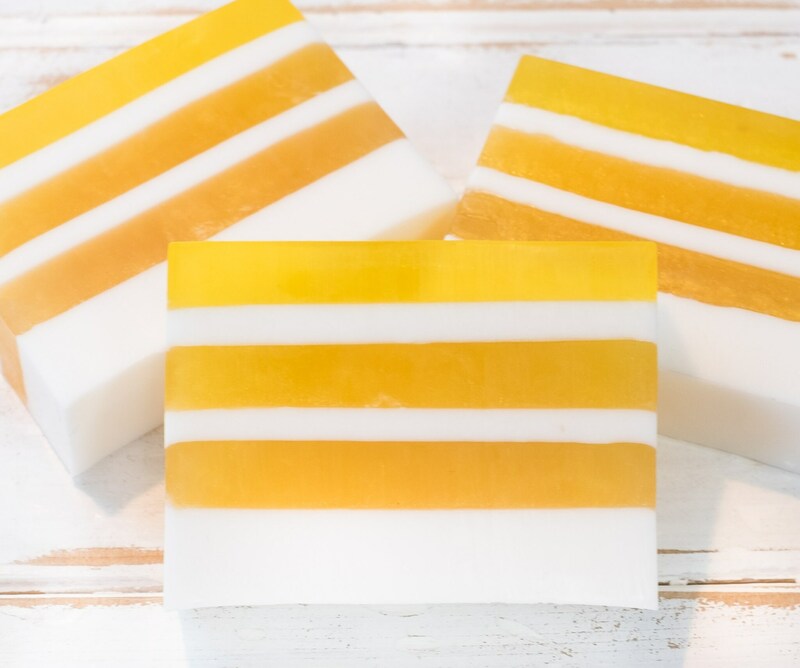 Beigetone Soaps are carefully crafted just for you!